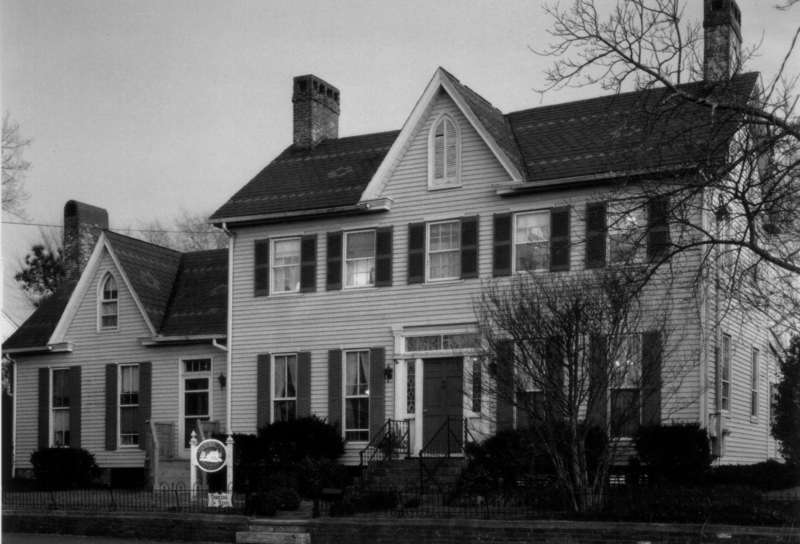 The building known as The Snow Hill Inn stands on East Market Street in Snow Hill, MD is believed to be haunted by the ghost of William Aydelotte and is one of the most well-known haunted sites on the Delmarva Peninsula. It was built around 1835 for a prominent landowner and businessman, Levin Townsend. In past years the Snow Hill Inn has served as as a private home, the town post office, the home of the Town Doctor, an apartment building and a well-known country Inn. Today it stands empty seeming to want to shake its past karma, needing the tender care of a live-in owner who call the place home. Dr. John S. Aydelotte occupied the house in the 1870’s and ran a medical practice in the Town of Snow Hill. 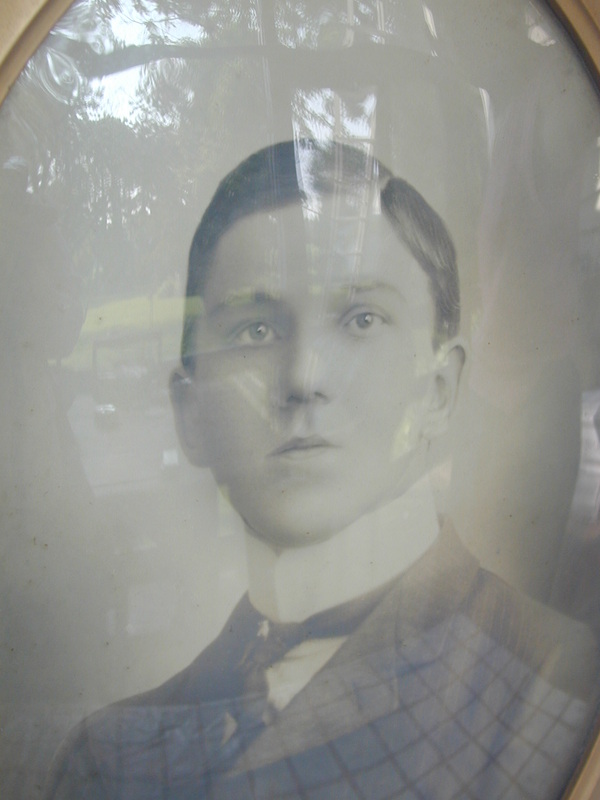 He served as the town doctor into the twentieth century. One of Snow Hill’s senior residents can remember as a child seeing Dr. Aydelotte walking through the town streets with his cane in hand shooing away boisterous children. Dr. Aydelotte died in 1929 and is buried in Whatcoat Cemetery just a few blocks away form the his home, now the Snow Hill Inn. Buried with him is a father’s grief over a son lost tragically to suicide. His son was William James Aydelotte who at the age 21, while attending the University of Maryland’s School of Pharmacology in Baltimore, ended his own life by apparently “cutting his own throat several times.” It seems young William was not doing well in school and didn’t want to face being a failure his his father’s eyes. While in his room at a Baltimore boarding house, William penned a note dated December 14, 1904 where he wrote “Dear Papa, … it is useless to keep me at school …” The next morning, keeper of the boarding discovered William after hearing what sounded like someone falling and deep groans. The following is an excerpt from a Baltimore Sun article printed the following day. “Hurrying upstairs, she opened the door and beheld the young man rolling on the floor, groaning and the blood flowing from several gashes across his throat. Descendants of the Aydelottes have often questioned the circumstances of young William’s death. The 1904 story in the paper was compiled in a single day with information from police, the coroner, the pharmacy school dean, the keeper of the rooming house on West Franklin Street and both the current and previous women in whose homes Mr. Aydelotte took his meals. The reporter reveals details of William – a third year pharmacy student – developing tonsillitis and being too ill to study, and Dr. Aydelotte writing the Dean inquiring after William’s progress. The article also reveals information about a “young lady” in Westminster with whom William had been corresponding and the exchange was abruptly discontinued. Then there are hints that the friendship between William and his Westminster lady friend had recently been renewed. Speculation (even if unjustified) could cause a body to wonder what (or who) really drove William over the edge. Whether William did himself in for fear of disappointing his father or “was done in” by someone who wanted him gone, many today believe his un-restful spirit haunts the Snow Hill Inn. When the home was purchased and converted to an Inn / Restaurant, the Innkeepers lovingly named William’s ghost “J.J.” The Innkeepers, contractors, guests, children, employees and town’s people all have stories of the young man who roams the halls of the Inn, locking doors, opening windows, turning lights off and on, setting fire alarms, appearing in mirrors, shaking beds with sleeping guests in them, extinguishing candles, lighting the fireplaces and more. Undoubtedly, the Snow Hill Inn has had more ghostly encounters (some documented) than any other single site in Worcester County and is second (in my opinion) only to the Denton Jail, haunted by Wish Sheppard as the most haunted site in the store. Paranormal specialists and mediums have visited the Inn in the past. National Geographic Television Network also visited and filmed a documentary there for its Is it Real series. All the spiritualists who have been contracted to visit the site as well as National Geographic have cited there is activity there. One medium spent time in the Barrister Room which is believed to have been William’s room as a boy. It was there – in the Barrister room that she encountered the ghost – and spoke to him.